Minutes to Sherwood Park sits this CUSTOM BUILT BUNGALOW in the sought after neighbourhood of Aspen Wood Estates. 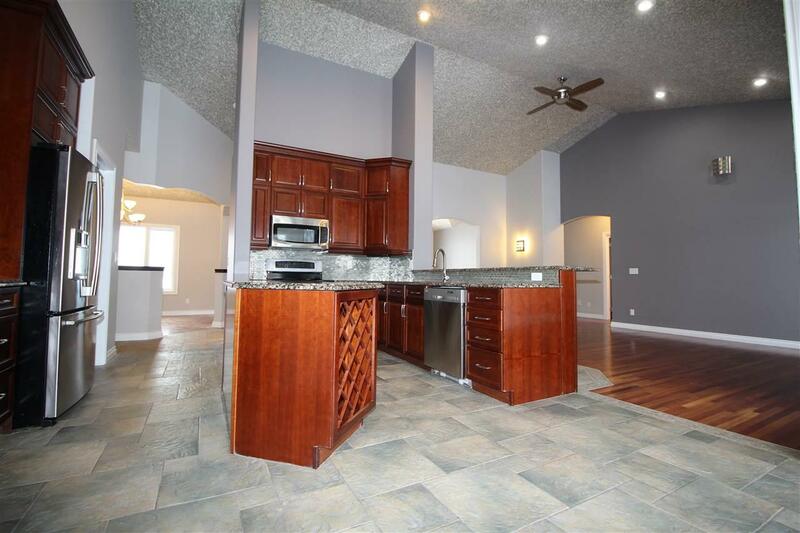 Walk in and you are greeted by huge vaulted ceilings a formal dining room and a living room with GAS F/P. 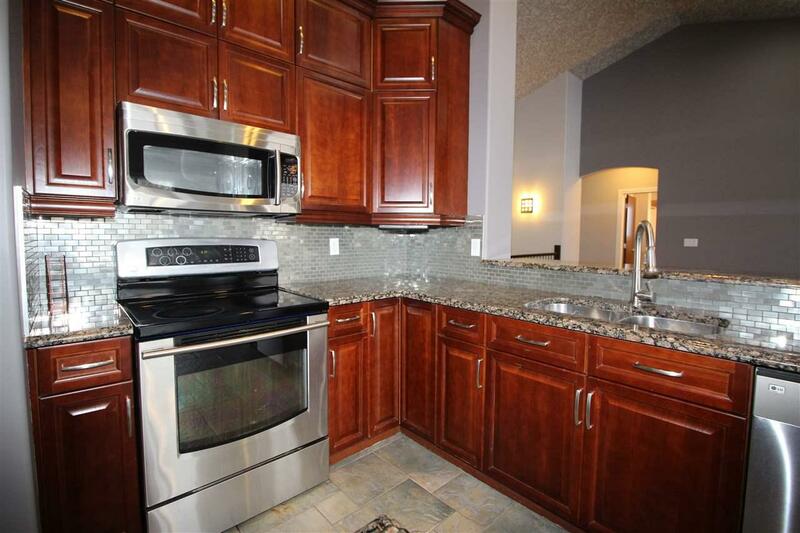 The open concept kitchen features STAINLESS STEEL APPLIANCES, GRANITE countertops, skylights and a WALK-IN PANTRY. 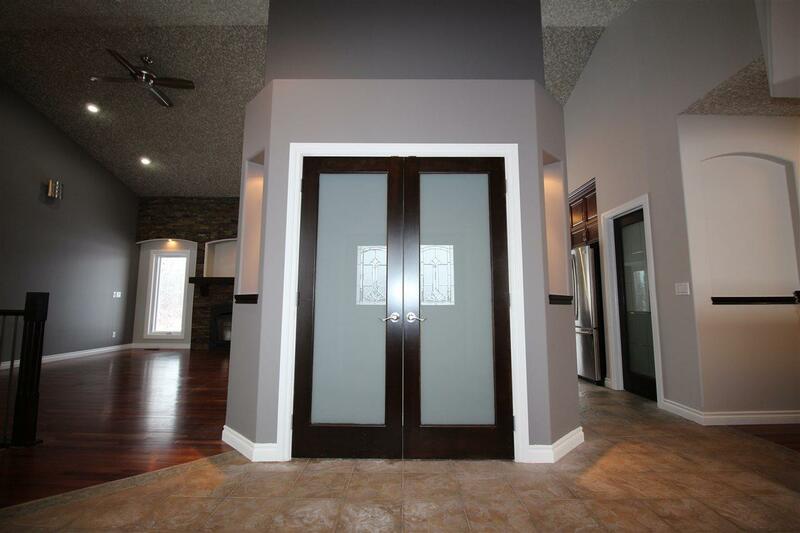 French Doors lead you into the spacious master bedroom featuring a 5pc ensuite w/ JACUZZI tub. 2 more good sized bedrooms, 4pc bathroom and laundry complete the main floor. The basements rec room has a GAS F/P and BAR with lots of room for a theatre area and pool table. 3 more bedrooms, 4pc bathroom and a office completed the basement. The backyard is great for entertaining under the covered patio which leads right down to the fireplace which is surrounded by stamped concrete for easy maintenance. The 2.36 acres of treed lot also backs onto a pond. 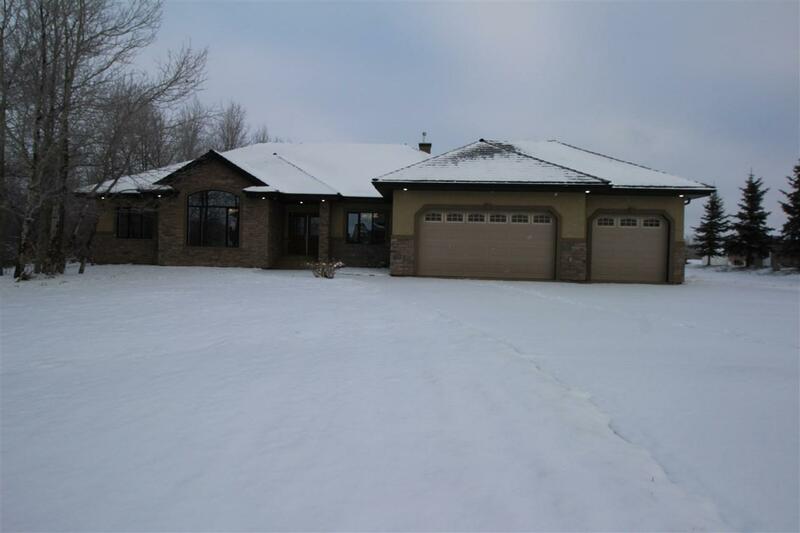 Other notable features include cedar shake roof, fully paved driveway and a 24x36 HEATED/INSULATED TRIPLE CAR GARAGE.